When asked about Oracle of the Heart we describe it as a spiritual system for understanding ones own consciousness. It is a timeless convergen ce of the original roots of Yoga, the Chakra energy centers in the body, the IChing, Kabbalah, Numerology, the Tree of Life, the Melchizedek Priesthood, the Lord’s Prayer, Sacred Geometry, teachings of the Mystical Travelers, and the Ancient Mayan Sun Cross Codex at Temple of the Sun in Palenque Mexico. When you give yourself permission to exercise this creative potential you are liberated. You find that the law of attraction is always working. But now you are aware of how. The Oracle guides you inward where your creations begin. It encourages you to give yourself the experience you want to have within yourself and then you naturally draw it to you physically manifesting what you truly desire. Being consciously aware of what and how we create enables you to create responsibly. The Oracle has the ability to gently pierce the walls of our deeply guarded fears, and self doubts. Feelings of unworthiness are lovingly revealed to show us how we sabotage ourselves. It frees us from these limitations by harvesting poignant memories to review. This allows us to perceive hidden treasures of within past events and relationships. The ultimate benefit is to ‘See Yourself” as you are; Loving. Oracle of the Heart attunes us to the higher inner awareness of our soul. This is where we see everything as it truly is; Loving. Oracle of the Heart is a spiritual system that honors each individual personally. It builds self-trust, self-love and faith in the goodness that life has to offer. Oracle of the Heart reveals limited linear patterns of thinking by illuminating the deeper, superior inner guidance, wisdom and creative potency of our own holographic feeling heart. All the experiences we have created from provide messages that our linear thinking mind can accept. As we accept these new perceptions, we can then appreciate and cooperate with our heart. When you give yourself permission to exercise this creative potential you begin manifesting the experiences that you have begun enjoying within yourself. This is where all that we create comes from; within. The magical truth enacted by “Healer heal thyself” will be the guiding truth that gently cleanses your inner doors of perception. As one releases buried, but not forgotten, emotional pain we heal. Emotional pain suppresses you mentally, emotionally and physically. Every program and meditation we have created with the loving guidance of Oracle of the Heart™ liberates you to live a healthier, happier, more authentically loving and productive life. We also know the power that synchronicity plays in our lives and offer the use of random selectors for choosing which tools to work with. This helps develop more and more trust in the perfection the universe is constantly providing. 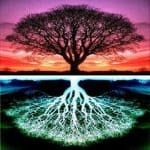 The magical truth enacted by “Healer heal thyself” is the guiding truth that gently cleanses the inner doors of perception, as one releases the buried but not forgotten emotional pain caused by fear, feelings of betrayal and self doubt that may be suppressing you mentally, emotionally and physically. “Understanding comes from experience. Every experience in life provides opportunities to know ourselves as creators. 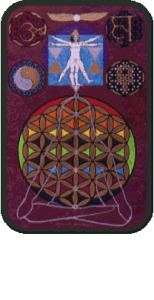 Oracle of the Heart gracefully harvests memories awakening new insights from our past creations, clearing the way to create anew in the present.” These are the benefits of learning the spiritual art of sacrifice. A new era is emerging. Only you can determine if Oracle of the Heart has something to offer you. And only your own experience of it can reveal the expansion of loving in you that comes from working with it. As creators, (small g) we see, we believe, and we manifest our beliefs. So, seeing and experiencing how we are the ‘Light’ naturally enables us to be more responsible creators. Start Here & Now. Wherever you are, whoever you are with, whatever you are doing; close your eyes and ‘See Yourself Loving’. 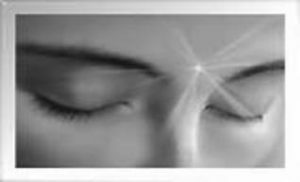 We invite you to Join Us and experience the blessings and tangible benefits of working with Oracle of the Heart.